Friday 12/31/04 2004 Proves drug war fraud, Happy New Year! Friday 12/17/04 Al Byrne of Patients out of Time. 90 Yrs Drug War Anniv. Sunday 12/19/04 "offical Govt Truth, Poppygate"
Friday 12/10/04 Rev. Alan Bean of Tulia, Tx. 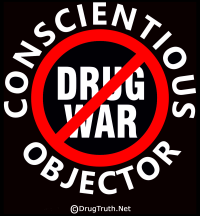 Saturday 12/11/04 Celebrate 90 Years of Drug War?